A man in the middle of his life, a husband and a father of four, suffers reverses in his business. An employee’s mistake, which he will cover to protect, may send him to prison. He thinks everyone would have been better off without him. He gives in to despair. An old man, so distant from his feelings you would think he had none, is confronted by memories of the ways he has hurt other people. He worries that he will go to his grave and continue to be haunted by his mistakes. He gives into fear. A recluse cannot stand the way his neighbors noisily celebrate the holidays. He hatches an elaborate plot in order to spoil their fun. He gives into bitterness and anger. 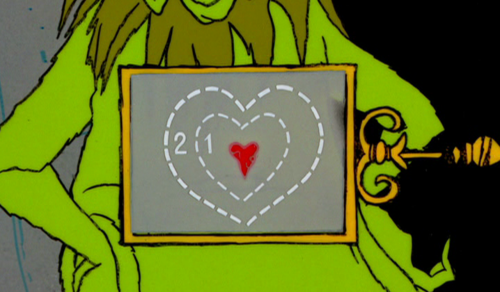 His heart, you may have guessed, is two sizes too small. We all have need to repent. John the Baptist went out into the wilderness when despair for the world grew in him, and every Advent we find him there by the Jordan, preaching and baptizing and basically raising hell and heaven with anyone who will listen. Just when we wonder if that beaded blouse we bought ten years ago ever went to the dry cleaner, he takes the stage and insists we turn. Just as we try to remember where we stored an Ugly Christmas sweater, he raises his cry. He is the voice, crying in the wilderness. Just when we are wondering how to entertain our gluten-free, tee-totaling friends and relatives, he rears his head, raises his voice and demands our attention. Turn away from your sins. Turn away from your despair, George Bailey! 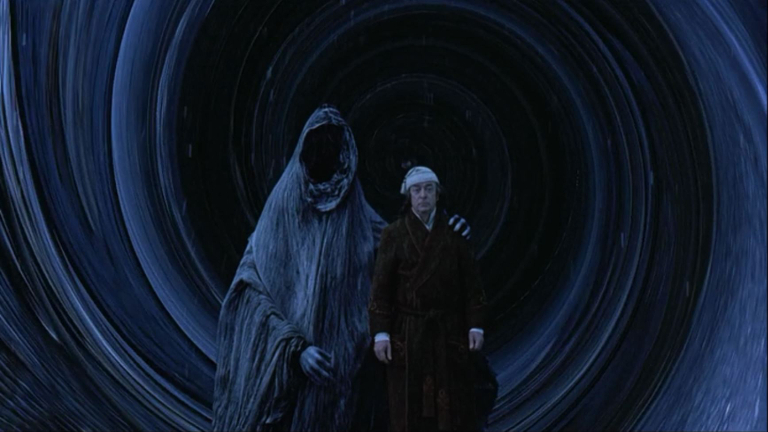 Turn away from your fear, Ebenezer Scrooge! For goodness sake, turn away from your bitterness and anger, Mr. Grinch! Even for the non-churchgoing folk, the stories of the season are full of the themes we return to in Advent, year after year. We may live in the same space as our fictional heroes of the season, counting the money and coming up short like George Bailey, up in the night with terrible visions like Ebenezer Scrooge, worn out like the Grinch, by the “noise noise noise noise!! !” They thought they knew it all. They thought that nothing would ever change. John, first, and then Jesus, push us over and over again to realize that it doesn’t matter where we worship, or what we wear, or who our granddaddy was, it matters how open we are to God’s love and forgiveness and how willing we are to share God’s love with others. What matters is being willing to own up to the ways we are unwilling and disconnected, and to turn away from those attitudes and tendencies, and turn toward God. So turn around. Sit down with the Who’s and carve the Roast Beast. Bring the biggest prize turkey in town to the Cratchit family for their Christmas dinner. Look at the friends who surround you and realize that you really do have a wonderful life. Turn around, away from despair, and find joy. Turn around, away from bitterness, and find hope. Turn around, away from anger, and find love. Turn around, away from fear. Turn toward peace, and see what is coming. I LOVE this. Connecting the themes of the season so beautifully. Great use of one of the aspects of the word “repent” in Hebrew. Turn, and return/turn around. Well done. Many thanks.